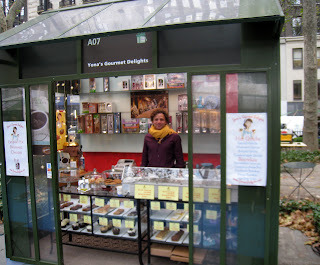 Today, Tricia from Fashion Herald reviews cupcakes from The Holiday Shops at Bryant Park. 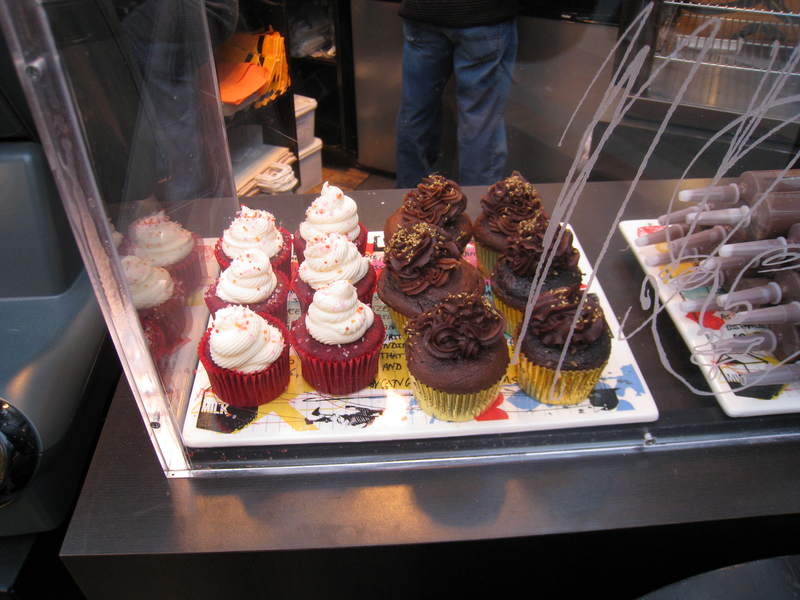 Cupcakes nicely round out a holiday shopping excursion, don't you think? Luckily, The Holiday Shops at Bryant Park has not one but four food vendors who sell cupcakes. 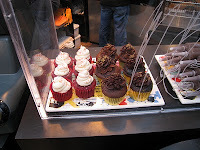 I went out yesterday, gathered cupcakes from all, and did an informal taste test with co-workers. 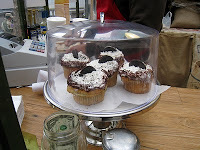 As much as I love cupcakes, eating all four solo in one afternoon is just flat out piggy. 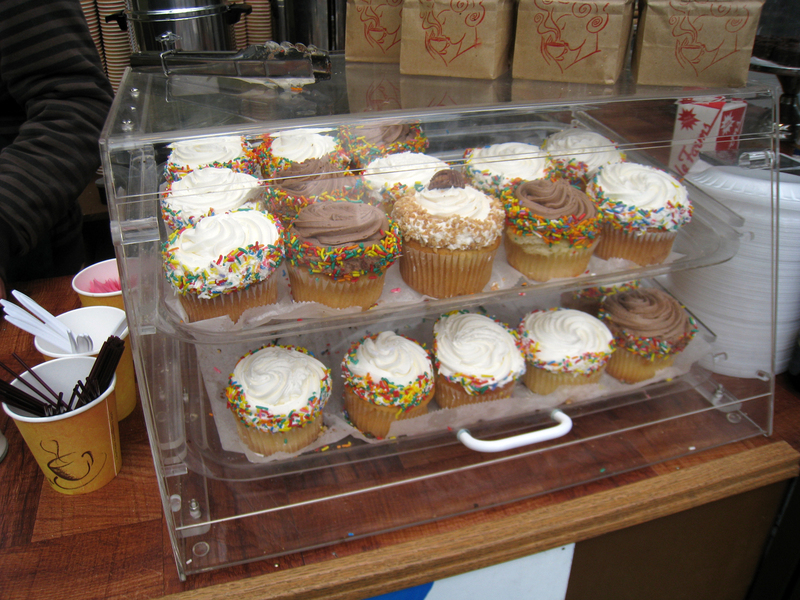 Coffee and Cupcakes, found on the Fountain Terrace, has two varieties for $4: vanilla and chocolate, both with sprinkles. 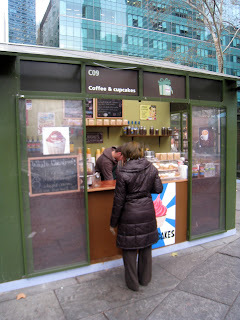 And of course there's coffee, too! 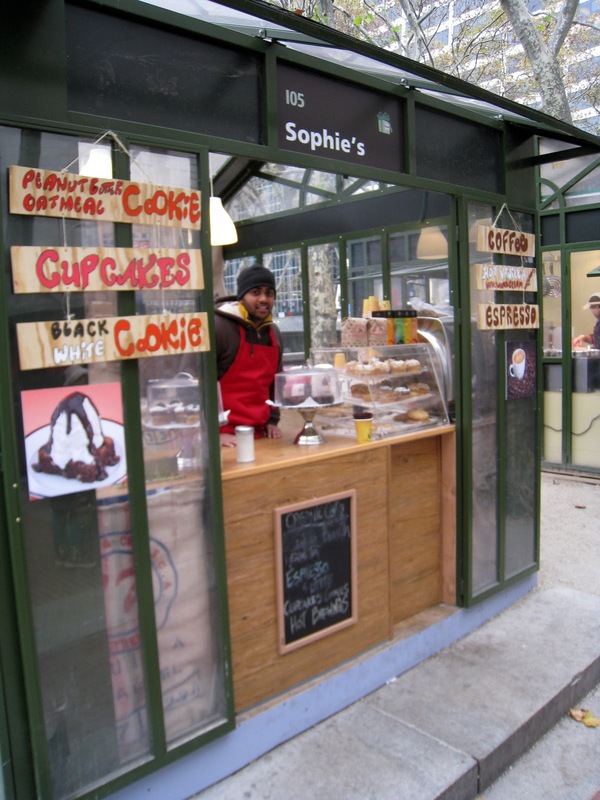 Sophie's, located on the Upper Terrace, sells peanut butter cup, oreo cookie, red velvet, triple chocolate, and vanilla cupcakes for $4. Shoppers can also get coffee and cookies at Sophie's. And on special days, one might find a cannoli cupcake. 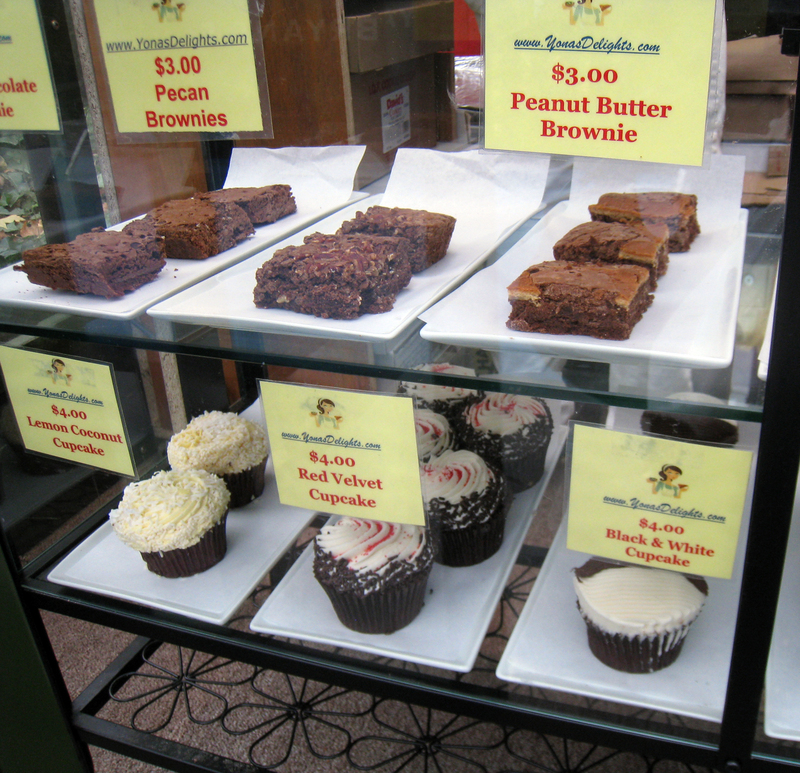 Yona's Gourmet Delights, on the south end of the park, is full of fun treats and has lots of cupcake flavors for $4 including red velvet, lemon coconut, black and white, peanut butter cup, rocky road, and oreo cookie. Be sure to try Yona's bittersweet hot chocolate while you're cupcake shopping. The delightful Max Brenner booth on the Upper Terrace also has cupcakes, but a smaller variety for $3 in two flavors: red velvet and chocolate with chocolate bits. 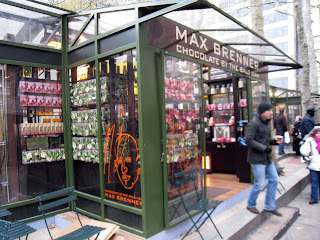 Chase them down with a cup of the famous Max Brenner hot chocolate. And the office winner? The red velvet cupcake from Max Brenner. 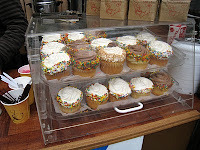 The cream cheese frosting was a hit, everyone said it had a perfectly whipped texture and wasn't too dense. The runner-up was Yona's black and white cupcake, but I'm guessing if I'd picked the lemon coconut, Yona's may have taken the lead.